In a microbiology lab at New York's Columbia University, Professor Vincent Racaniello experiments with some cells that have led to some of the greatest medical breakthroughs of the last hundred years. But these are no ordinary cells. They're called, HeLa. And they were first used in research that led to the Polio vaccine, as well as helping to develop medicines to fight cancer, the flu and Parkinson's disease, and in the research that led to gene mapping and cloning. They were used to test the effects of atomic radiation and sent into outer space. All of the HeLa cells, trillions upon trillions of them, originally came from one person-Henrietta Lacks, a poor 30-year-old black woman who died nearly 60 years ago. "The list of things we can do because of that is just incredible," said Rebecca Skloot, who wrote the book, "The Immortal Life of Henrietta Lacks." In 1951, Lacks went to Johns Hopkins Hospital in Baltimore suffering from cervical cancer. Before she died, doctors took some of her tumor cells for research without ever telling her. "They never asked permission to take the cells, which was standard at the time," Skloot said. "They just took them." Researchers discovered that those cells did something they'd never seen before: They could be kept alive and grow. "I think we owe a lot of gratitude for what Henrietta provided," Racaniello said. "There's absolutely no doubt about that." Lacks died later that year, but her cells lived on, providing a seemingly endless supply for researchers around the world, and eventually for companies to sell to sell for profit. "It's hard to pinpoint how much money has been made, but it's a lot of money," Skloot said. To top it off, no one in Lacks' family ever knew any of this for more than 20 years. When they were finally told in the 1970s, they were stunned, then angry. "That's the main thing that's troubled me about it," said Bobbette Lacks. "Why was it kept such a secret?" While companies that sold HeLa cells made billions, Henrietta's family had little money, and, in perhaps the greatest irony, some of them could not afford health insurance. 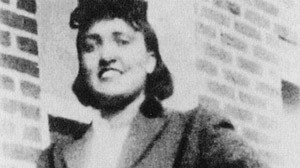 As Lacks' family learned more about the medical advances from HeLa cells, the anger gave way to pride. "What makes me happy about it is it's something that my mother has contributed to the world," said Henrietta's son Sonny. To this day, Lacks' cells have lead to major medical breakthroughs and the companies selling her cells make billions of dollars. To this day, her family has never been paid a cent, nor been given an apology.